The Delhi government found itself in the middle of a storm on Friday afternoon, as news broke that the Election Commission has recommended to the president to disqualify 20 of its MLAs for holding offices of profit. The development, although, does not threaten the AAP government as it has 65 MLAs in the 70-member Assembly. Still, the BJP and Congress demanded that Chief Minister Arvind Kejriwal resign on moral grounds. AAP responded furiously and moved the Delhi High Court seeking interim relief while alleging that the Chief Election Commissioner was trying to destabilize its government at the behest of the prime minister. However, the high court's bench headed by Acting Chief Justice Gita Mittal refused to pass any interim order. The court has asked the poll panel to inform the court by 22 January whether any final communication has been sent to Kovind on the disqualification of the MLAs. The Election Commissions lawyers said they could not confirm whether such a recommendation was made. In its opinion sent to President Ram Nath Kovind this morning, the Election Commission said the MLAs, by occupying the post of parliamentary secretaries between 13 March, 2015 and 8 September, 2016, held office of profit, and were liable to be disqualified as legislators, highly-placed sources said. Parliamentary secretaries assist ministers with their work and usually enjoy the same perks and ranks as a cabinet minister. 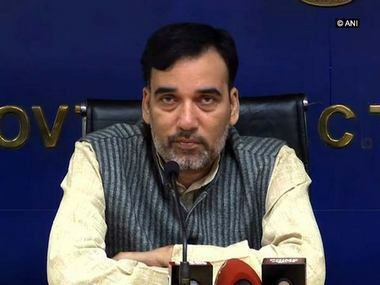 The AAP launched an unrestrained attack on CEC AK Joti, saying he was "repaying the debt" to Prime Minister Narendra Modi before his retirement on Monday, 22 January. "AK Joti was the principal secretary under (the then Gujarat Chief Minister) Narendra Modi and then the chief secretary of Gujarat. He is retiring on Monday. So you want to repay Modi ji's debt. You are mortgaging a constitutional post like the Election Commission," AAP's Delhi unit spokesman Saurabh Bharadwaj alleged. "The EC should not be the letterbox of the PMO. But that is the reality today," another senior AAP leader Ashutosh tweeted. Joti, an IAS officer of 1975 batch of Gujarat cadre, took charge as an election commissioner in 2015 before his elevation as CEC. Noting that the EC's order defied the "principles of natural justice", Bharadwaj said the poll panel did not even hear the MLAs' side. West Bengal Chief Minister Mamata Banerjee, who expressed support for AAP, also criticised the Election Commission saying a constitutional body cannot be used for political vendetta. "A constitutional body cannot be used for political vendetta. The 20 AAP MLAs were not even given a hearing by the Hon EC. Most unfortunate. This goes against the principles of natural justice," she said. The President of India is bound by the recommendation of the Election Commission. Under the rules, petitions to the president seeking disqualification of lawmakers are referred to the EC. The poll panel takes a decision and sends its recommendation to the Rashtrapati Bhavan which is accepted. In the present case, the petition was made to disqualify 21 MLAs, but one resigned a few months back. Once the president accepts the recommendation, by-elections will have to be held for 20 Assembly seats. In 2015, soon after AAP swept the Delhi elections, Kejriwal had appointed 21 legislators as parliamentary secretaries, apparently to assuage MLAs who were not given ministerial berths. But soon after a controversy started building around the issue, Kejriwal government tried to bring in a legislation with retrospective effects to solve the problem. In March 2015, the AAP government passed an amendment to the Delhi Members of Legislative Assembly (Removal of Disqualification) Act, 1997, to exempt the posts of Parliamentary Secretary from the definition of office of profit with retrospective effect. 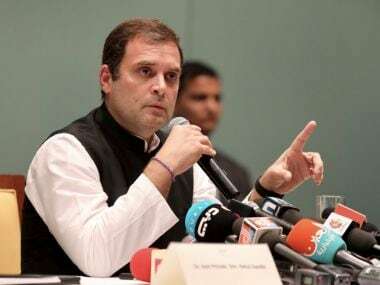 However, then president Pranab Mukherjee refused to give assent, following which the appointments were set aside by the Delhi High Court in September 2016, which declared them illegal since the order had been passed "without concurrence/approval of the Lt Governor. Meanwhile, a 30-year-old lawyer, Prashant Patel, filed an application in 2015 to the president's office, questioning the appointment of AAP MLAs as parliamentary secretaries. The key argument was that there were no set precedents in Delhi. The number of cabinet ministers in Delhi cannot exceed 10 percent of the total 70 seats—that is seven—as per Article 239AA of Constitution. As of now, only one parliamentary secretary to the chief minister is authorised. Sans the controversy around appointment, Delhi would have had more parliamentary secretaries (read MLAs with minister-like powers) than actual cabinet ministers. The AAP insisted that despite holding the office these MLAs did not take any salaries or perks. But the party's rebel MLA Kapil Mishra claimed otherwise. He tweeted a document showing that the 21 MLAs were allotted offices as parliamentary secretaries. The disqualification will not put Kejriwal's government in jeopardy because of its huge majority in the Delhi Assembly. The disqualification will bring down its strength drastically to 45 but the government would still have a comfortable majority. However, Kejriwal’s problem lay elsewhere. The by-elections for these 20 seats, if and when they are held, would be taken as a referendum on his government. Even in best of the situation, AAP can’t hope to repeat its performance and have all its 20 candidates re-elected to the Assembly. 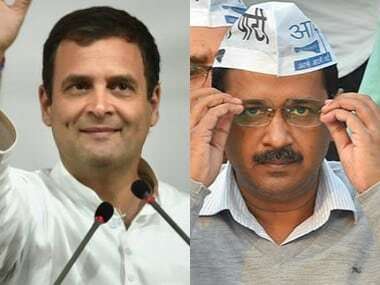 Delhi municipal elections, Rajouri Garden by-election, as well as Assembly elections in Goa and Punjab have shown that Kejriwal’s popularity has waned. If he does not perform well then his government would effectively become a lame duck government for next two years. The BJP was quick to question if the AAP government had any "moral right" left after the EC's recommendation to the president. BJP spokesperson Sambit Patra cited corruption and criminal cases against AAP MLAs to claim that the party which started its political journey from India Against Corruption movement has become "I am corruption". "Many of the Kejriwal cabinet members had to resign. Fifteen of their MLAs have cases against them and 12 were arrested under different charges. In this scenario, the biggest question before the people is whether Arvind Kejriwal government has any moral right to remain in power," Patra told reporters. "We welcome the EC decision disqualifying 20 AAP MLAs. 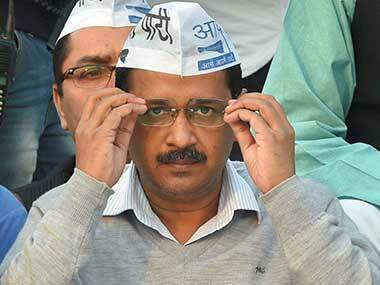 Arvind Kejriwal should take responsibility for moral defeat and resign," he said. Delhi Congress president Ajay Maken also said the chief minister had lost the moral right to be in power. "Where is Lokpal? The MLAs and ministers enjoying perks of power and foreign travel-Where is political probity," he tweeted. The 20 MLAs set to be disqualified include a minister, Kailash Gahlot of Najafgarh constituency and high profile MLA Alka Lamba.